August 1 2017. Our work on E2F1-centered EMT networks in cancer accepted in Nature Communications! July 1 2017. Beautiful work combining network analysis and modelling to understand brain cell differentiation. 27 April 2016. Our paper with the Schmeck group in Marburg on microRNA-feedback loops in Streptococcus pneumoniae lung infection is published! 27 April 2016. Our paper on model-based genotype-phenotype mapping of gene signatures is out! 26th May 2015. We just published our paper on rough hypercuboid clustering of miRNAs! May 2015. Our group member Pia Wentker has successfully defended her PhD Thesis. Congratulations, Dr. Wentker! 1st March 2015. Our paper on G2-M arrest in melanoma cells controlled by the interaction between Chk1 and Wee1 is accepted! 19th January 2015. Our paper on miR-638 and melanoma metastasis is accepted! 12th December 2014. 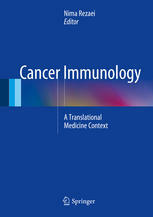 Our review entitled "Envisioning the Application of Systems Biology in Cancer Immunology" is now published by Springer. 1st September 2014. Our review in Cancer Systems Biology published in Wiley´s eLS Citable Reviews in the Life Sciences. 21st July 2014. We have been selected to participate in the SPP 1757 Priority Program of the Deutsche Forschungsgemeinschaft (DFG). We will woprk together with Prof. Wegner dissecting the networks modulating the diffrentiation of oligodendrocytes. 18th June 2014. Our work in miRNA cooperativity presented in major Systems Medicine Conference. Our collaborator from the University of Rostock Ulf Schmitz is presenting our work in cooperative miRNAs in the International Conference on Systems Biology of Human Disease 2014, Boston, USA. 17th June 2014. The book on Cancer miRNA edited by Prof. Vera together with with former colleagues from Rostock ULf Schmitz and Olaf Wolkenhauer has been a success during his first year. Chapters from our book have been downloaded more that 27,000 times and that it is among the 25% best performing books. Some chapters of the book are cited more than 150 times according to Google Scholar. And our book chapter on System Biology of miRNAs here. 10th June 2014. Our paper on genome wide analysis of miRNA cooperativity is published. MicroRNAs (miRNAs) are an integral part of gene regulation at the post-transcriptional level. Recently, it has been shown that pairs of miRNAs can repress the translation of a target mRNA in a cooperative manner, which leads to an enhanced effectiveness and specificity in target repression. 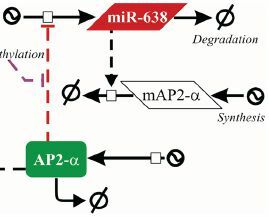 However, it remains unclear which miRNA pairs can synergize and which genes are target of cooperative miRNA regulation. In this paper, we present a computational workflow for the prediction and analysis of cooperating miRNAs and their mutual target genes, which we refer to as RNA triplexes. The workflow integrates methods of miRNA target prediction; triplex structure analysis; molecular dynamics simulations and mathematical modeling for a reliable prediction of functional RNA triplexes and target repression efficiency. In a case study we analyzed the human genome and identified several thousand targets of cooperative gene regulation. Our results suggest that miRNA cooperativity is a frequent mechanism for an enhanced target repression by pairs of miRNAs facilitating distinctive and fine-tuned target gene expression patterns. 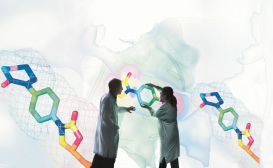 Human RNA triplexes predicted and characterized in this study are organized in a web resource at www.sbi.uni-rostock.de/triplexrna/.